Candles with jewelry inside are popular and offer a touch of enchantment for something as simple as burning a candle. Scented candles generate an ambience that fills your home and creates anticipation while you await the big jewelry prize reveal. Handcrafted candles from Fragrant Jewels are made of all-natural ingredients and contain hidden jewelry treasures. There are several scents available, including English garden, vanilla coconut and others. The company's proprietary coconut wax blend gives their candles a cleaner burn. Gift sets that include candles and bath bombs are available. The candles feature mostly rings, though special candles for moms have a pendant necklace. Choose from one of several collections. For example, the Starry Night Collection offers 10 different ring designs with an opalescent stone. Candle size: 3.75" x 4.25"
Price: Around $25, with free shipping on orders over $50. Along with a ring, each candle also reveals a code. Enter it in the vault ring giveaway sweepstakes for a chance to win a ring valued from $100 to $10,000. Use your purchases and vault codes to redeem as points with their rewards program. Redeem points for various rewards, such as pendants, rings and other items. Jewelry Candles offers candles for rings (sizes 5-11), bracelets, earrings and necklaces. Some available scents include, Amazon rainforest, birthday cake, honeysuckle jasmine and more. Their candles come in 21-ounce containers and have a burn time of 90 to 100 hours. You can find rings, earrings and necklaces inside Jackpot Candles. Choose from a large selection of scents, such as limoncello, lavender, caramel coffee latte and others. Once you reveal your jewelry item, visit their appraisal page to determine your jewelry prize's value. Just enter the jewelry label code to reveal its value. You can choose from different sizes and a combination of candles and bath bombs, each with a piece of jewelry inside. Value of the included ring, necklace or earrings starts around $15. Choose your ring size (6-9) when ordering. 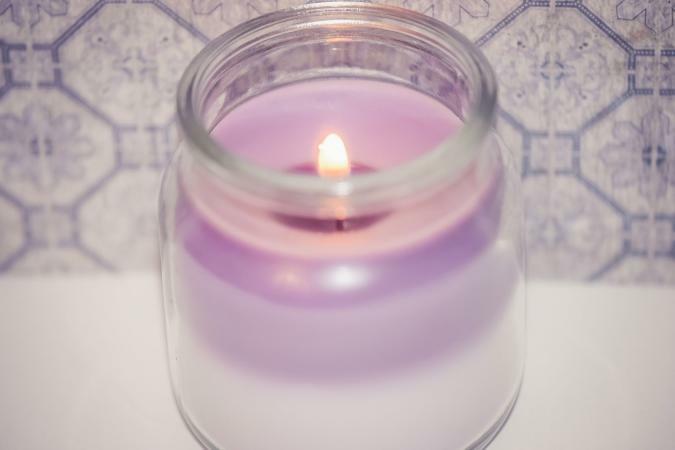 21-ounce candles: The candle contains either a ring, necklace or earrings and costs around $25. Burn time is 80 to 100 hours. Eight-ounce tins: Each eight-ounce candle tin features a ring inside. Burn time is 20 hours. Price ranges from $17 (single tin) to $30 (3-pack). Candle and bath bomb set: Both the candle and bath bomb contain a ring inside. Sets with an eight-ounce tin candle cost $27. Those with a 21-ounce candle cost $38. Scented candles make a pleasant addition to any home décor by setting the mood for a restful weekend, special event or romantic dinner for two. Finding a piece of jewelry in the melted wax adds to the mystique and provides an added bit of fun. You can enjoy both when you choose one of these great hidden jewelry candle options.